Sorry but I have NO negative comments. Area is great, very quiet and so close to 2 large Publix and Walmart. Villa very clean with plenty of towels and if you have children all you need. Management team Steve very friendly and quickly solved the only small problem we had with no fuss. Owners Andy and Francis very helpful and nothing is too much. All in all we would use again. Many thanks for letting us use your villa. We stayed in this beautiful villa in August 2013 for 11 nights. Firstly the booking process and communication before our stay was excellent with all questions / queries answered quickly by Andy. He even made a courtesy call to us during the first few days to make sure everything was OK.
Now the villa, it is a beautiful villa on the Orange Tree community. The furnishings are to the highest standard, Andy and Frances keep their villa in tip top shape and it really is a home from home. The villa is really secluded and offers a great deal of privacy, in fact the whole community was very quiet and it appears to be part residential as well. The pool area is great and is very large, we found we could catch the sun all day and spent many hours sitting out here listening to all the wildlike in the nearby trees. Inside the villa it is very luxurious, all fittings and finishings are in very good order and everything is to the highest standard. 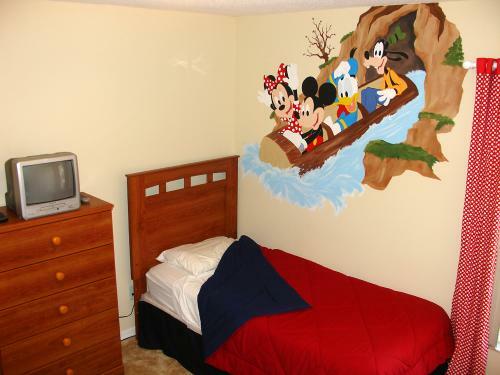 Everything has a new feel to it and is obviously very well maintained and looked after. We felt very secure in this villa, as there is an entrance CCTV system, intruder alarm and also a safe in the villa. The TV's all had an adundance of cable channels and the broadband was very speedy and reliable (a must with all the devices in our family!). I cant speak highly enough of this villa, the only downside I can see is the location which is quite far out from the parks (about 20 minutes) and the lack of a lot of restaurant choices near the villa. Most of the 192 restaurants were only about 10 mins away though. 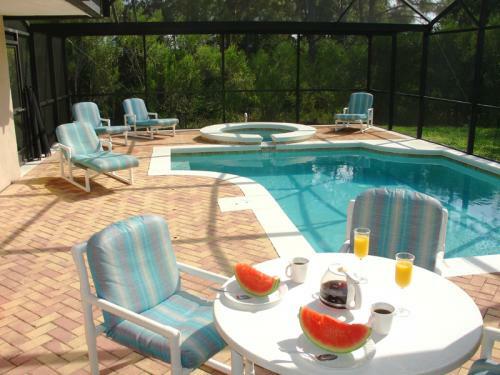 But I would highly, highly recommend this villa and we hope to stay here again on our next Florida adventure. Our completely private, recently built villa, which has one of the largest plots in the community, backing onto a conservation area of fragrant pine trees. Enjoy taking a dip in our fully screened pool and relaxing large warm spa without being overlooked by other properties. 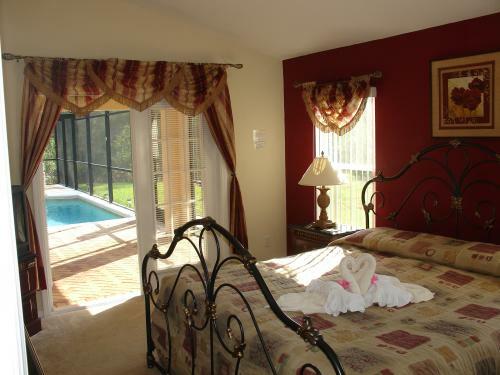 ¨ In the upscale Orange tree community, 10 minutes from the Disney entrance, various golf courses, shops and restaurants. 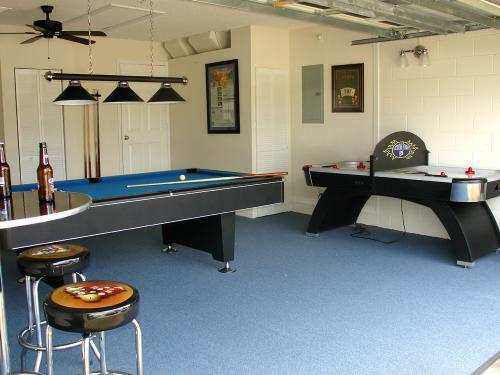 ¨ Fully carpeted Games room with full size pool table, foosball and air hockey. 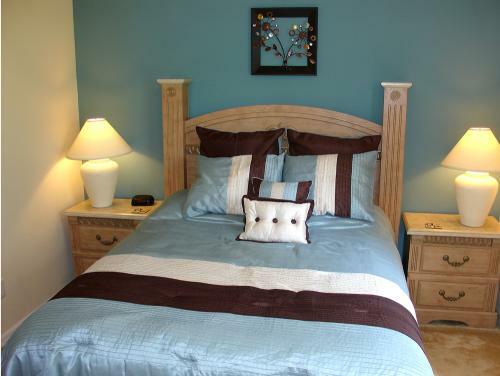 ¨ 2 fully carpeted en-suite bedrooms, one US King and one US Queen size. ¨ Golf, balloon, boat ride, Harley discounts available on request. The fantastic layout of our villa allows the majority of the rooms to open out onto the fully screened, extended pool deck, meaning that you can access the pool in the morning without disturbing the rest of the household. Our dual aspect deck also provides a shaded area for those that wish to take a break from the sun and still enjoy the magnificant veiws, which most pool areas are not be able to provide. 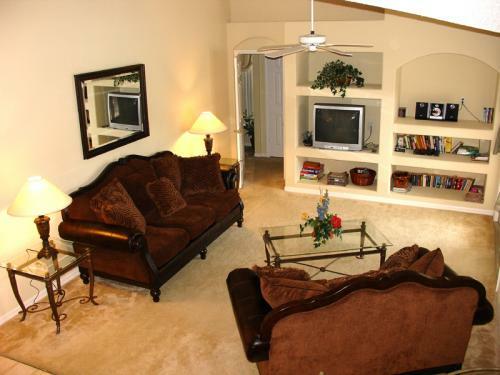 We pride ourselves on the fact that keep the villa wellmaintained and cared for. View our guest book which is full of outstanding and flattering reviews, many of which return year after year. See lots more information at our website www.houseandmouse.co.uk Please note we have not yet updated some of the pictures on our own website yet from our latest upgrades.